Bear Cabin features two separate bedrooms (one with full bed and one with 2 sets of bunk beds), as well as a queen-size sofa sleeper which allows 8 people to sleep comfortably. It, as well as our other cabins, is a non-smoking unit. 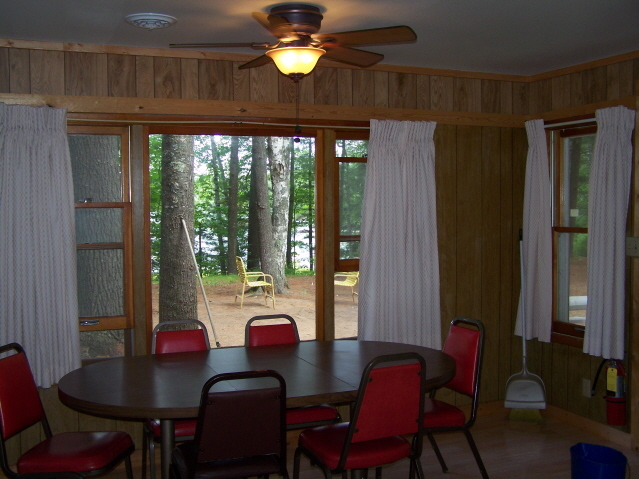 The floor plan has a large open living area with a great view of the lake. The bathroom has in-floor heat in the colder weather. 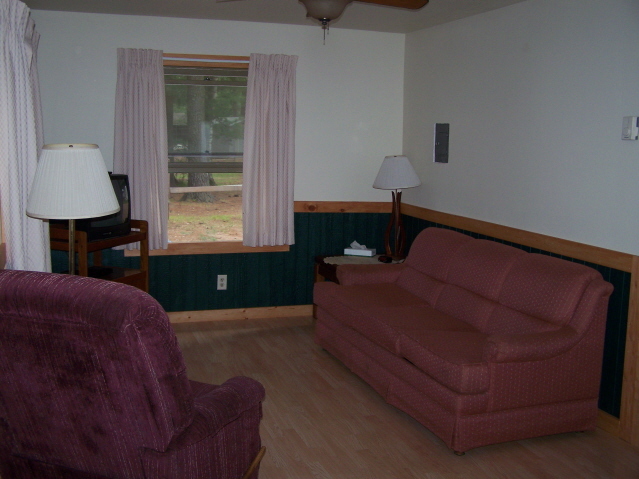 Each cabin is furnished with bed linens, cookware and dishes. Guests must provide their own towels and personal hygiene items. 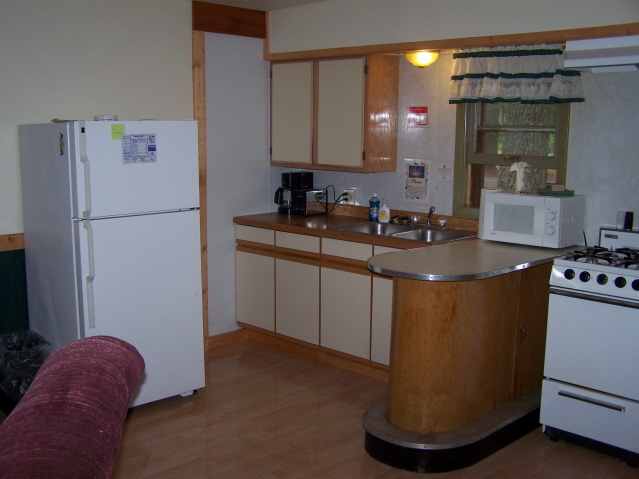 All units are equipped with a stove, refrigerator, microwave, and television. Weekly cabin rentals include the use of a 14 foot aluminum fishing boat. Motors are not included, but we would happily arrange for a rental if you wish. A paddle boat and canoe are also available for guests to use. Pets will be considered on a case by case basis, additional fees may apply.